There’s no denying the fact that Xiaomi is keeping everyone at bay by not announcing the Xiaomi Mi 6 flagship smartphone. There is excitement building on everyone with each passing day on what features will Xiaomi include in the upcoming phone. Earlier today, the company’s CEO, Lei Jun, confirmed that they would be releasing the phone this month itself, keeping an end to speculations of May release. 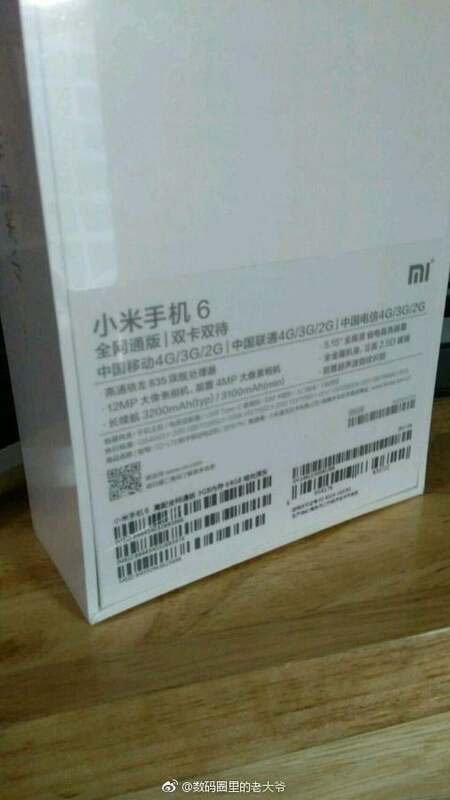 A few hours later, retail boxes of the Xiaomi Mi 6 and the Mi 6 Plus have been posted on Chinese microblogging site, Weibo, which apparently revealed the specifications of both phones. As you can see in the image above, the device sports a 5.15-inch Full HD screen, and is powered by the Qualcomm Snapdragon 835 chipset, clubbed with 6GB of RAM and 128GB of storage. The phone in the box packs a 30MP rear-facing camera with support for Optical Image Stabilisation and packs an 8MP front-facing camera. The phone is armed with a beefy 4000mAh battery. Going by the specifications, this phone might be the Xiaomi Mi 6 Plus, but again, the smaller display is confusing as all the previous Mi 6 Plus rumours suggested 5.7-inch Quad HD display along with the dual rear camera. Here is another image of the other variant of the phone, which we are presuming as the standard Mi 6. The phone in the box features the same 5.15-inch display and Qualcomm Snapdragon 835 Soc as the previous version. However, RAM in this variant is limited to just 3GB and comes with only 64GB of internal storage. Unlike the 30MP sensor on the variant mentioned above, this one comes with only 12MP sensor and a 4MP ultra pixel camera on the front, same as the one-year-old Xiaomi Mi 5. Also, battery capacity on this variant is 3200mAh. 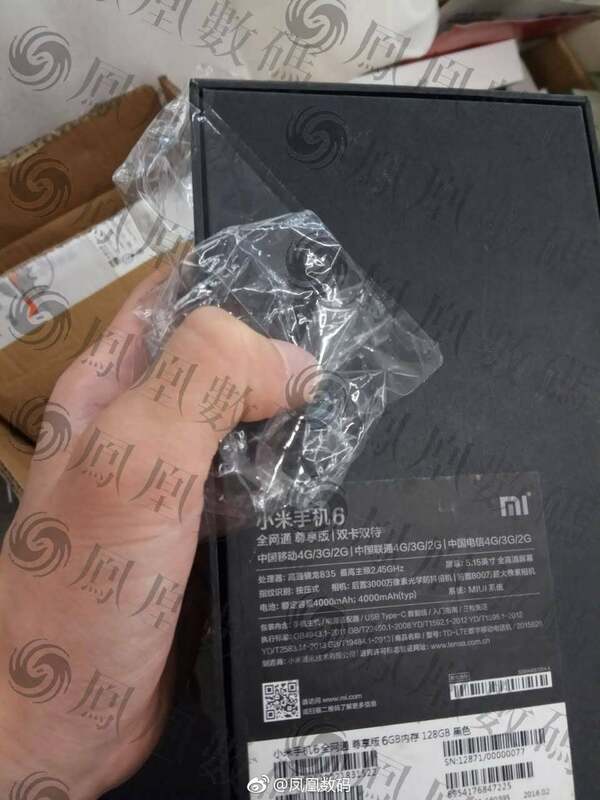 That said, these images make us believe that Xiaomi is planning to launch not two, but three variants of the Mi 6. The standard Mi 6, whose specifications are mentioned above, the previously leaked Mi 6 Plus with a dual rear camera and 5.7-inch Quad HD display, and the Mi 6 Pro with a 30MP camera and 4000mAh battery. Xiaomi is rumoured to announce the phone on April 11, and other speculations are claiming the launch date as April 18. All said, we have to wait till the official announcement on what Xiaomi is up to with the Mi 6. Why it is Mandatory for Samsung to Sell the Refurbished Galaxy Note 7?